CREATE: A Maker Faire will be held on Saturday, March 12th from 11am-3pm at Riverhead Charter School. The Faire will highlight makers of all kinds from all over the tri-state area. From music-makers, to lego clubs, robotics and soap, to welders and beer-makers there is sure to be something for everyone. The event celebrates the Maker Movement and highlights creativity, innovation, and resourcefulness. This event is FREE. If you are interested in participating as a Maker, please complete this form and contact Liz at 631-779-2934. The daytime portion will be followed by The After Party at Greenport Harbor Brewing Company from 7pm-10pm featuring live music by Gene Casey & the Lone Sharks. Tickets for the after party at $30 and include a free pint of beer, or glass of wine. Additional wine, beer, and food are available for purchase. The evening event will also feature a fishbowl auction with loads of local prizes. 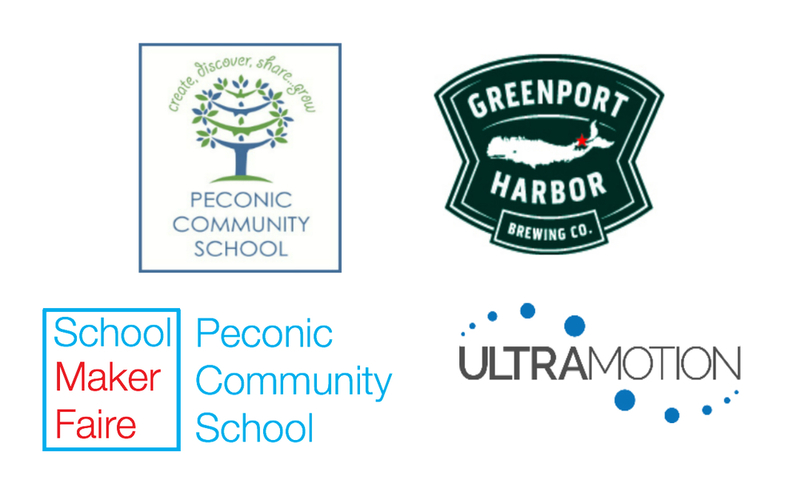 All proceeds from the after party will benefit Peconic Community School.